Last night while the girl's were having dinner, Brian and I turned our heads for a second, when we turned back to give the girl's some more food Olivia was sound asleep. She took one last spoonful of sweet potatoes and was out. Posted by Miracles at 12:22 p.m.
Olivia, my little darling, you are tooo cute!!!!!! 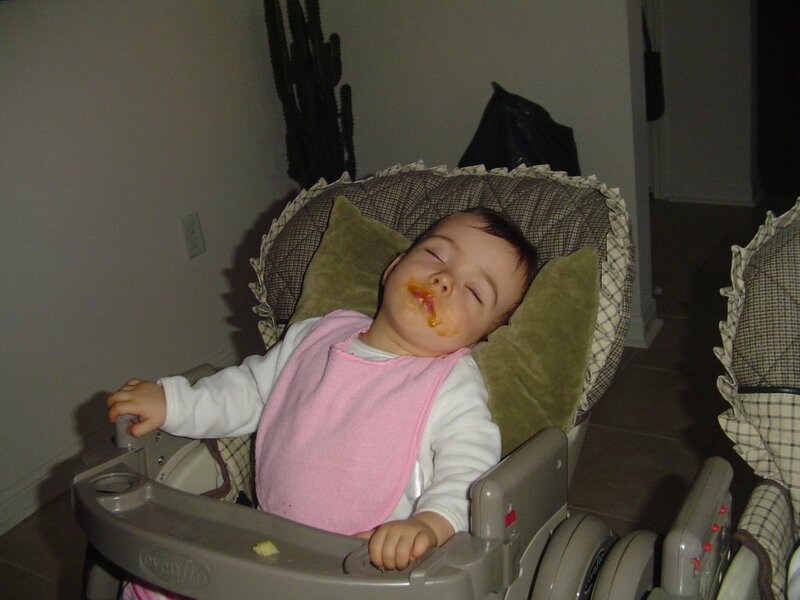 I guess you were getting bored with eating your sweet potatoes and you just fell asleep. You are so very precious. Grandma hopes to see you all very, very soon. Big kisses and hugs.